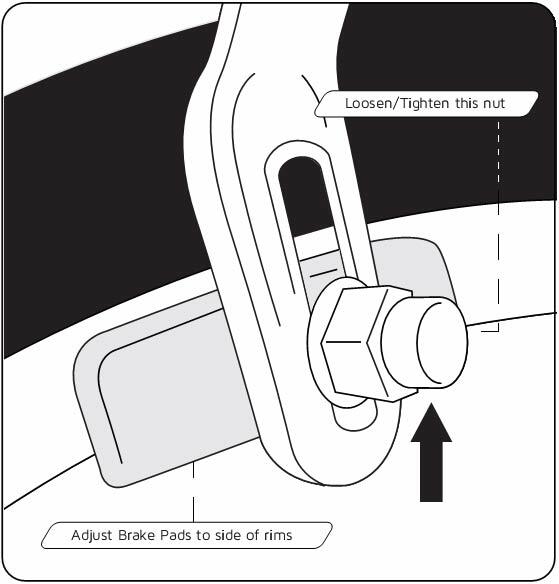 Use your hands to squeeze the brake callipers so that the brake pads are just touching the rim. 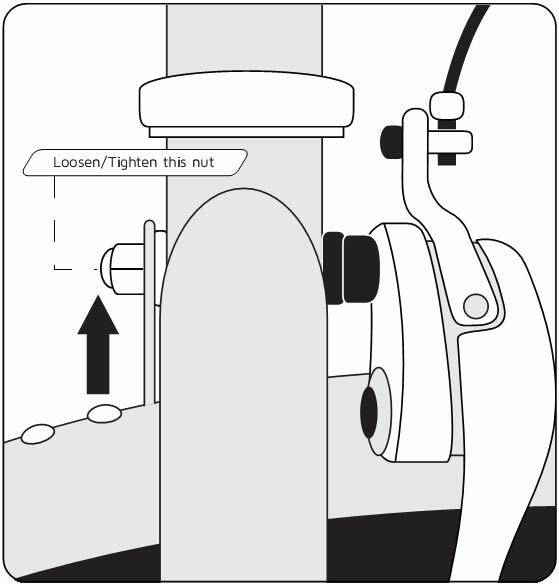 Using a 10mm spanner, loosen the nut (as shown on the diagram) and pull on the brake wire to adjust tension. Tighten nut to set to position. Align the pads to the rims by unscrewing the nut and position the pads so that it “bites” to the side of the rim. Tighten nut to set to position. 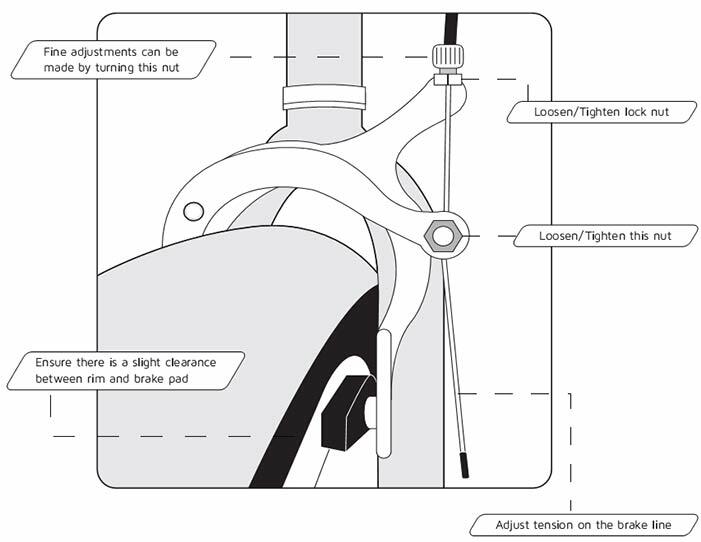 If the callipers are not centred, slightly loosen the calliper nut at the back of the calliper. Use your hands to centre the pads against the rims. Then tighten the calliper nut at the back.